It’s on it’s way…the season of Boo! Eek! and Trick or Treat! 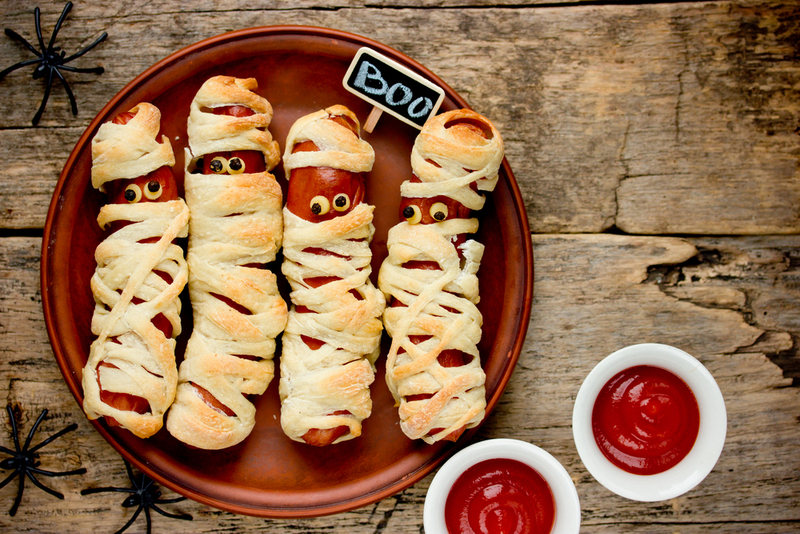 To help you throw the best dinner, here are some awesomely haunting halloween food ideas! This is a great punch for a party. 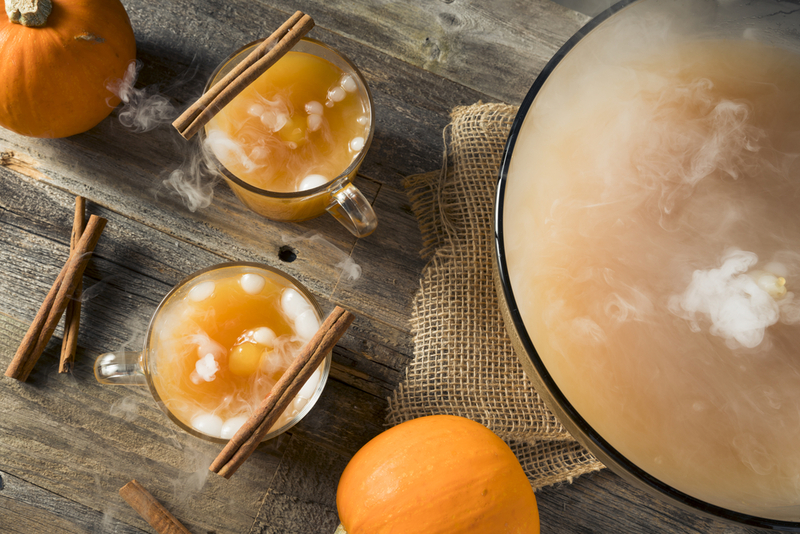 Full of awesome autumnal flavor with a sparkle and some spooky dry ice to top it off. Try serving in a pumpkin for some extra festive fun! Process: In a sauce pan, comb the puree, concentrate, sugar, water, lemon juice, and pumpkin spice. Mix over medium heat until it starts to boil. Don’t start stirring. Once it starts to boil, remove from heat and push through a mesh strainer like this one. Chill until you’re ready to serve. Once you’re ready, add about 1 cup of the mixture to a boil with ice. Add in your lemon-lime soda, and toss in a little dry ice and serve! 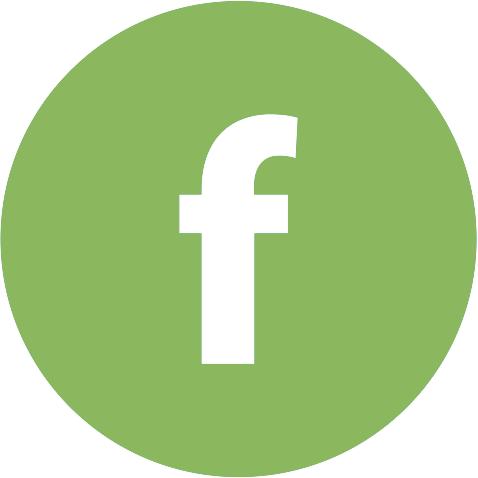 This is a fantastic way to add some healthy to your holiday fun! The kids won’t be able to resist them. Process: Starting with your chocolate, melt it in the microwave in a microwave safe bowl, about 30 seconds at a time, stirring every 15 seconds. Once it’s melted, pour into a ziploc bag. Cut just a tiny bit off the corner of the ziploc so you can “draw” with the chocolate. 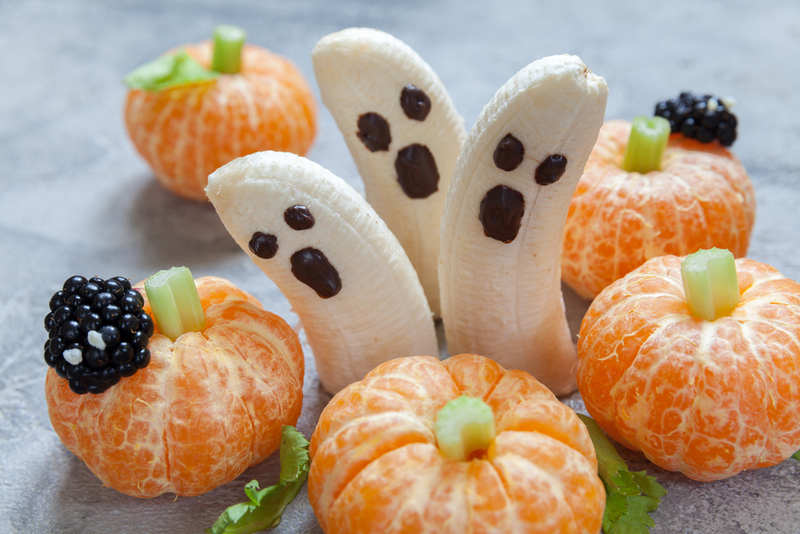 Draw your ghosty faces on the bananas, allow to dry before setting upright. Using your celery pieces, stick them in the middle of the clementines to create you “pumpkins”. If you want to add some chocolate lacing on top, you totally can. And ta-da! You’re done. These are a hoot! The first time we made them, my 6 year old refused to eat them because they were too realistic. Oops. Process: Preheat oven to 350 F. Open the pizza dough and add a couple drops of green food coloring. Knead gently until the color is mixed throughout. Divide into 12-15 balls of dough, and roll out into fingers. It’s good to make these lumpy-it makes these more realistic. Mix the egg and water together and brush lightly over the fingers. Sprinkle lightly with salt. Then press (and I mean press) almonds into the ends. Bake for 8-10 minutes or until they start to brown. These are great for parties! You can mix and match ingredients however you’d like. Process: Heat your oven to 350F. Open the pizza dough and section into 6 balls of dough. Roll them out to your desired thickness. Top with sauce and cheese. Now, take your black olives, and cut 8 of them into thin slices (these are the legs). Take 6 more and cut in half horizontally. Take 6 more and cut in half vertically. 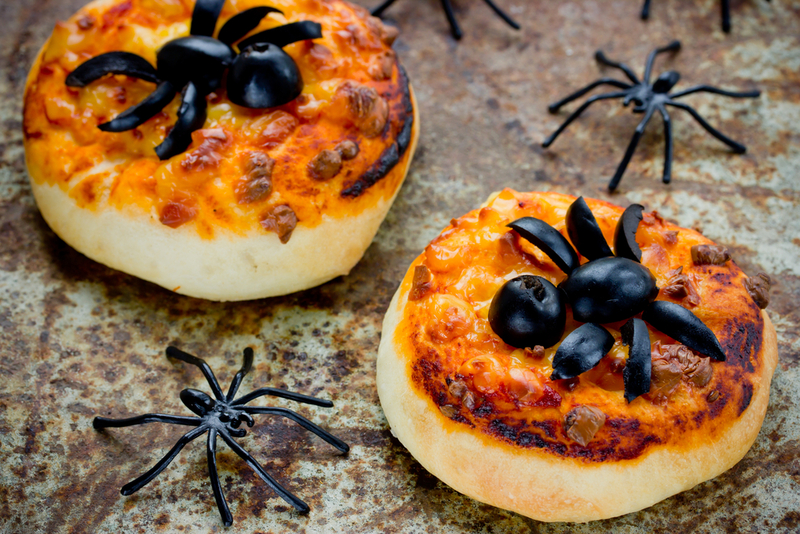 Construct your spiders-you can put as many as you’d like on each pizza. Bake until the crust is golden brown and the cheese is bubbly. 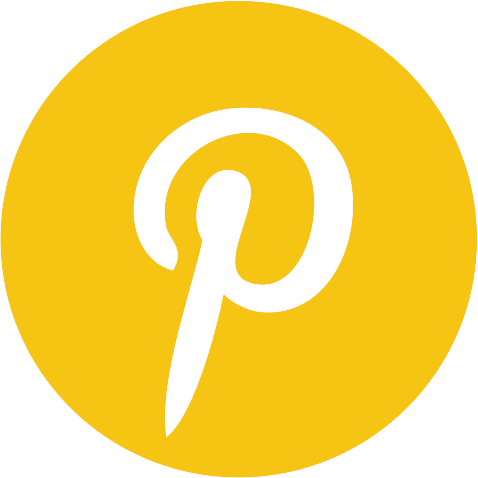 Process: Take your crescent roll dough and cut into long strips. Wrap them around your hot dogs loosely, allowing for some hot dog to show through. Add peppercorns or poppy seeds for eyes if desired. Bake at 350F until the crescent roll dough is golden brown. These are so easy. And so delicious. 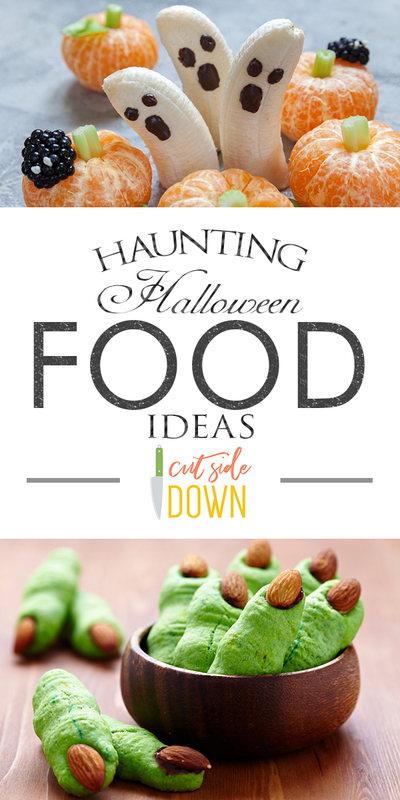 And so perfect for a halloween feast! Process: Pair your cookies together and give a generous swirl of chocolate frosting to stick them together with the frosting visible. Using kitchen shears, cut mini marshmallows into uneven pieces. These will be your teeth! Just add to the exposed chocolate frosting. Cut 6 mini marshmallows in half, and stick on top of cookies with a dab of chocolate frosting. Add a dot of chocolate frosting for the eyes, and ta da! 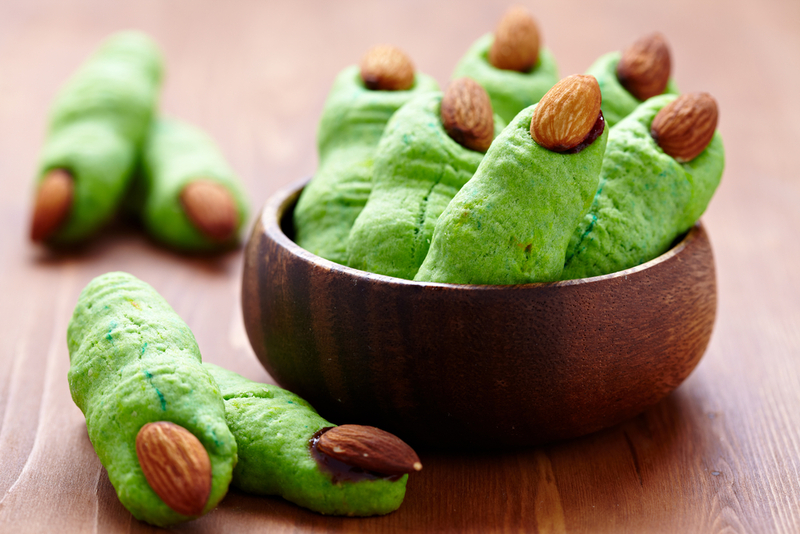 You’ve got yourself a scary delicious dessert! And there you have it! 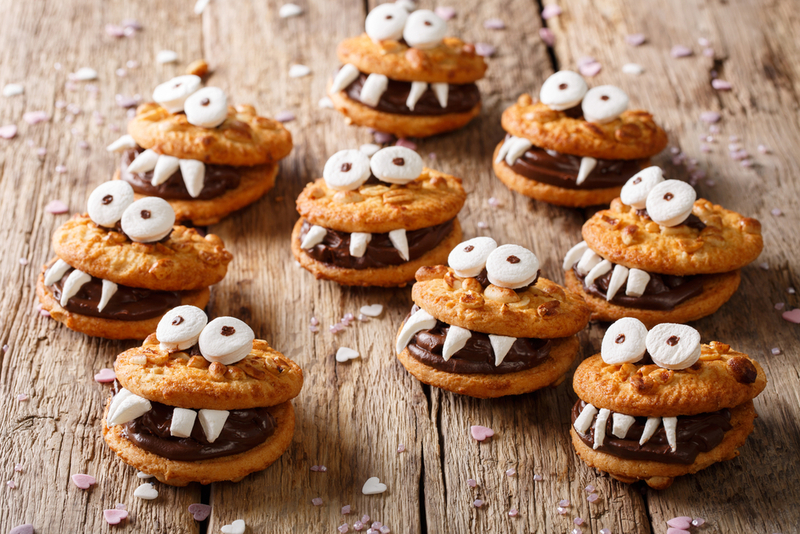 Some recipes for a hauntingly happy Halloween!